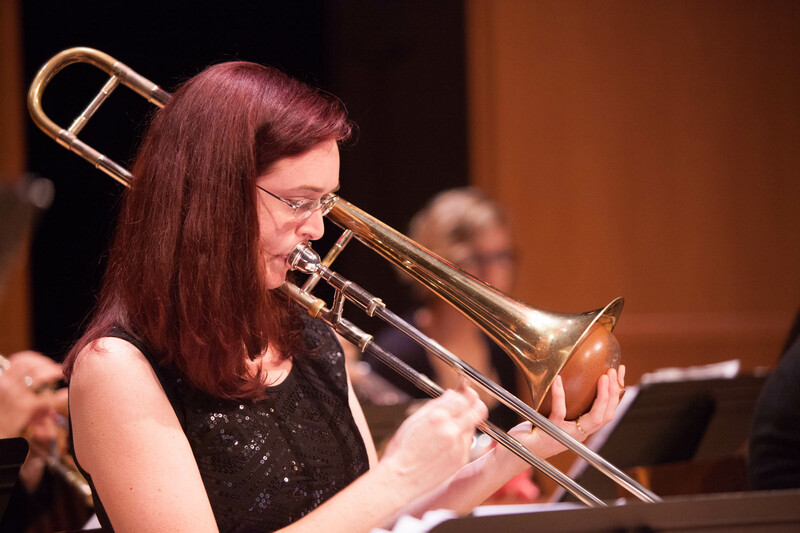 Shannon Gunn, recently named D.C.’s best trombonist in the Washington City Paper’s Jazzies Award for 2015, is an active jazz trombonist in the DC metro area. You can find her on Monday nights with the Bohemian Caverns Jazz Orchestra as well as playing around town with her own all-female big band, “Shannon Gunn and the Bullettes” and her organ trio, “Firebird.” With the Bohemian Caverns Jazz Orchestra, she’s had the privilege of playing with notable artists such as Oliver Lake, Cheryl Bailey, Yotam Silverstein, Wycliffe Gordon, Elliott Hughes, Erika Dohi, and for Miho Hazama. Additionally, as lead trombone player at Michigan State University, she was able to play with Billy Taylor, Rodney Whitaker, and Marian McPartland. She earned her Masters of Music in Jazz Studies from George Mason University in Fairfax, Virginia and also attended James Madison University and Michigan State University for her music studies. She also produces “The JazzCast,” a podcast dedicated to curated listening sessions with jazz musicians. In addition to the ensembles listed above, Shannon Gunn has performed with the Metropolitan Jazz Orchestra, Reunion Music Society, American Festival Pops Orchestra, Manassas Chorale, and at various venues such as the Kennedy Center, the Takoma Park Jazz Festival, Hylton Performing Arts Center, Center for the Arts in Fairfax, Westminster Jazz Night, Atlas Performing Arts Center, the Washington Women in Jazz Festival, and has subbed in with the DIVA! Jazz Orchestra for Maurice Hines’ “Tappin Thru’ Life.” She resides in Bristow, VA with her husband, Timothy, and her dog, Faith.